For those unfamiliar with the comedic antics of Ralph Massey (pictured), many may have gotten an introduction last week with a spoof video he released on Twitter. The video poked fun at YouTube vlogger and poker player Catherine “catrific” Valdes, who made some news last week when she registered to play a $400 event at Bally’s casino in Las Vegas. Instead, she was seated in the $1,700 main event and controversy ensued. Valdes was removed from the tournament when the error was discovered and admitted she was in the wrong event and even eliminated one player. Massey, who is among the field on Day 2 at the WPT Seminole Hard Rock Poker Showdown, donned a black wig and women’s clothes for the spoof and didn’t hold back. His comedic edge comes from years of improv training, including working as a standup comedian for a time. His work even included spending two years (2001 and 2011) at Second City in Chicago, the famed improv troupe and comedy school that has featured legends like Alan Arkin, Joan Rivers, Fred Willard, John Belushi, Gilda Radner, Martin Short, Eugene Levy, Dan Aykroyd, John Candy, Bill Murray, Rick Moranis, Mike Myers, Chris Farley, and numerous others. While Massey never made it to the main stage, he learned a lot and had the opportunity to write and learn more about comedy. Born and raised in Chicago, Massey performed regularly on the city’s open mic scene. Being on stage and performing has always been a passion, and he’s pleased to be producing some funny content occasionally again for an audience. In 2013, Massey began transitioning to poker and eventually left his regular gigs on stage. 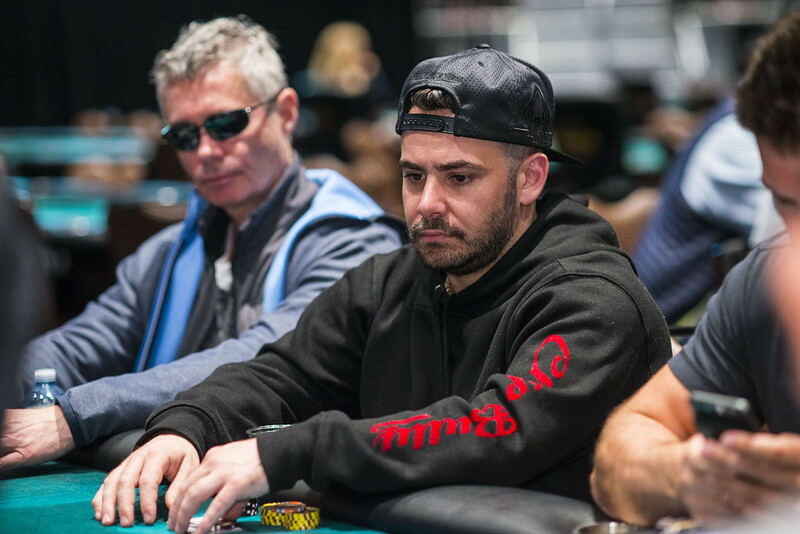 At the table, Massey has almost $1 million in live tournament winnings. His biggest cash came last summer at the World Series of Poker, where he finished eighth in the $1,500 Millionaire Maker for $135,383. On the WPT, he has three cashes for almost $32,000 but is hoping to add to that significantly here at the Seminole Hard Rock Poker Showdown. Massey started Day 2 with 39,500. The reaction was a bit unexpected for Massey, but has inspired him to keep the laughs coming. Fans may want to follow him on Twitter for even more.